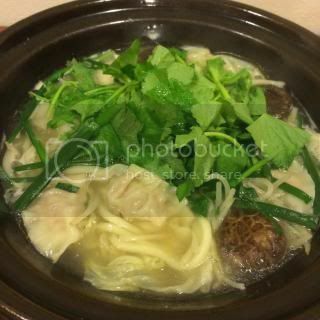 I've been making different kinds of donabe hot pot dishes almost every day past days. 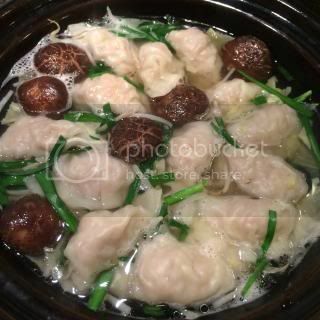 I make poached gyoza (水餃子) sometimes, but I was never really interested in doing gyoza hot pot. It felt to me cooking gyoza along with other ingredients in one pot would end up either easily overcooking the gyoza or other flavors would overpower the gyoza. But, somehow I suddenly wanted to make gyoza hot pot. So, I decided to make the broth very light, in fact just kombu infused dashi with no seasoning, and enjoy the dish with different dipping sauces. 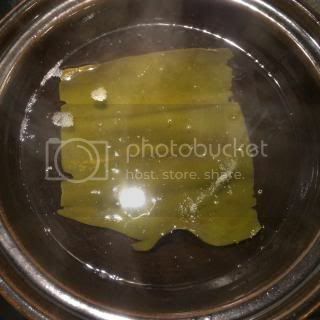 I made kombu dashi, with 1 large piece of kombu and 1 liter of water, by soaking the kombu in water for a few hours, then slowly heated. I got ingredients to put in the hot pot ready. 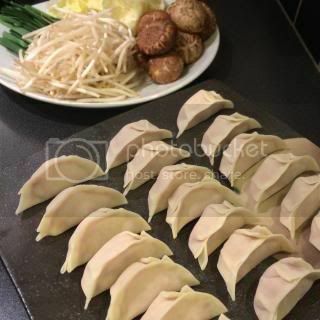 Pork gyoza (12 oz ground pork, 1T potato starch, 1/2 tablespoons grated ginger, 1T sake, 1tsp soy sauce, 1tsp sesame oil, salt and pepper, were mixed together and wrapped in gyoza skins), bean sprouts, shiitake mushrooms, cabbage, and nira. First, I put the cabbage, and once the cabbage is almost tender, I added the gyoza and shiitake mushrooms and cooked for 5 minutes. To finish, I added the nora and bean sprouts and cooked for a couple of minutes. Gyoza was served with two kinds of dipping sauces (ponzu and spicy miso - both homemade). The dish was fantastic! I loved how gyoza came out so juice and plump. As a finishing "shime" course, I seasoned the broth with a little addition of sake and light color soy sauce, then added some udon. Happy donabe ending!